System dynamics is a methodology for understanding the behaviour of complex dynamic systems belonging to different domains using modelling and simulation. The modelled systems can be, e.g., socio-economic, financial, climatic, or physical. System dynamics models consist of only a few basic types of variables which are used to construct stock and flow diagrams with feedback loops and delays. 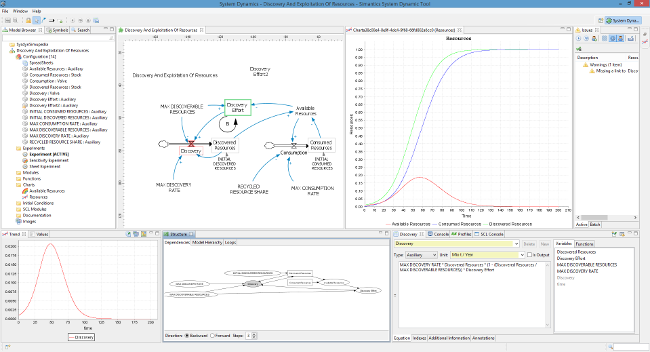 Simantics System Dynamics is a free, open source system dynamics modelling and simulation software. The software has an intuitive and easy to use Eclipse based graphical user interface, as shown in the figure below. You can configure the whole model structure graphically, and enter equations for variables using editors with syntax highlighting and a content assist. The simulation results are visualised using different types of charts, e.g., line and bar charts. The results can also be viewed in table format. Simantics System Dynamics has been used in various projects inside VTT, and it has also a small but constantly growing global user base. The software is open source under EPL (Eclipse Public License) and can be downloaded at http://sysdyn.simantics.org. 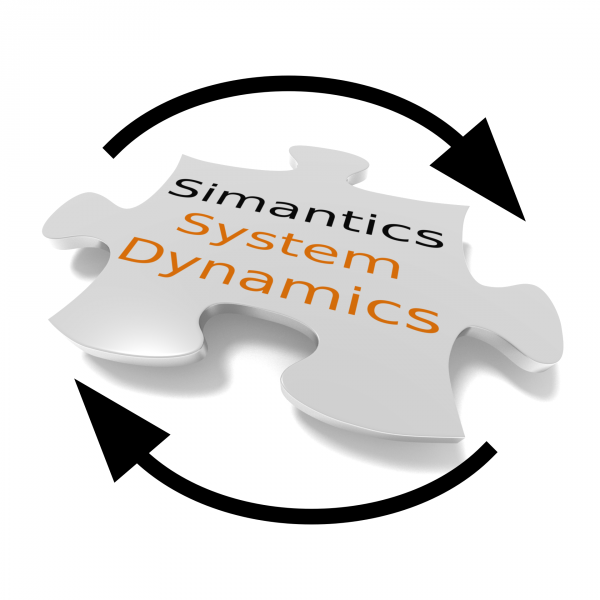 Simantics System Dynamics is based on the Modelica language which allows you to use standard Modelica features within your models. When you simulate a graphically modelled system dynamics model, the tool transforms the model into a Modelica model which is simulated using either the internal Modelica solver or OpenModelica, an open source Modelica environment. Additionally, you can extract the Modelica code from the tool and simulate it using your favourite Modelica tool.